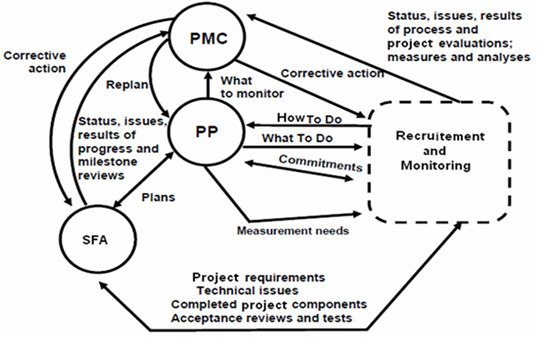 Genelife Clinical Research is among one of the few CRO’s who have adopted Project Management Approach. This model widely helps us conserve timeline and cost. This model is predominantly devised from and for complex studies like cancer, cardiology clinical trials, but it can be retrofitted to other therapeutic areas. The basis of this model is the disease surveillance study which we conducted across India to study the trends of diseases. Clinical Research industry demands quality data in most cost effective manner, we have designed Genelife Model. Industry trends and patterns have changed due to economic slowdown which suggests cost effective research and CRO can be best partner to achieve the same. In this model we have taken the Clinical Research process as a system and we identify exact input with well-defined process to bring effective output. The first input comes from Study Feasibility Analysis (SFA) Site Feasibility analysis (SFA); due to available disease prevalence data this process has become very fast and cost effective for us. This procedure is conducted on the basis of initial Project Plan (PP). Study & Site Feasibility Analysis (SFA): Genelife Clinical Research has feasibility which works under Project Management Team. This team understands the objectives of the study and provides the solution to main question of project like what to be done; how to be done; at what cost; in what time. During site feasibility we emphasize on site not only with high disease prevalence but also with clinical research supportive environment. Clinical Research supportive environment is very important aspect for physician referral and it is not considered most of the time. 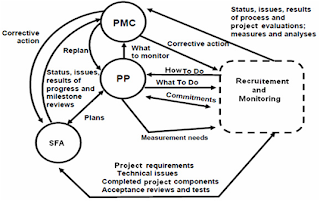 Project Planning (PP): in our model we have divided Project planning in two major parts. In 1st is for initial phase is for training and performing initial activity like feasibility. After receiving the feasibility reports we develop plans like risk management plan, communication plan, QA plan, safety plan, monitoring plan, Data management Plan, SAP plan etc for stating how to complete a project within a certain timeframe, usually with defined stages, and with designated resources. In totality the plan will include setting quantitative objectives, identifying deliverables, identify & manage foreseen and unforeseen risk, overcome bottleneck planning the schedule and making supporting plans. Project Management & Commencing: Once a project moves into the Execution Phase, the project team and the necessary resources to carry out the project should be in place and ready to perform project activities. The project team handover the activities to different departments and start analyzing the progress of work. Last stage of this model is suitable output which is directly dependent on above two steps. As per Genelife Model, with precise inputs and efficient process, one tends to get desired output in terms of faster regulatory approval, quality data, shorter timelines and better return on investment.